I must revise my ‘tasting notes’ survey of Bergerac. A lot has happened since I wrote it. One feature that remains unchanged, however, is that the de Conti family of Château Tour des Gendres continue to set the pace with a range of wines that all other growers admire and envy, the benchmark for quality in Bergerac. I tasted some of them yesterday with Martine de Conti. Although Luc de Conti and his team make superb red wines, their whites are deeply impressive. The entry-level Cuvée des Conti 2013 is a brilliant effort in a tricky year in which strict grape selection was needed to ensure a quality product. A blend of 70% Sémillon with 20% Sauvignon Blanc and 10% Muscadelle, it was vinified in tank after 48 hours cold maceration on the skins and then aged eight months in tank with oxidative handing and regular lees stirring. It is deliciously fresh, with the typical, lime aromas of Sémillon, quite soft acidity, but considerable finesse and length. Conti-ne Périgourdine 2012 is the family’s most original cuvee: 100% Muscadelle à Petits Grains from a single site, unusually for this estate on silty clay soil. After a long pre-fermentation maceration (72 hours for the 2011) it was fermented and aged in 30 hl oak vats. The complex, smoky aromas of the fruit almost mimic those of oak, but there is little detectable oak on the long, rich, stone-fruits palate. Despite no lees stirring, it has a creamy texture, balanced by refreshing acidity. 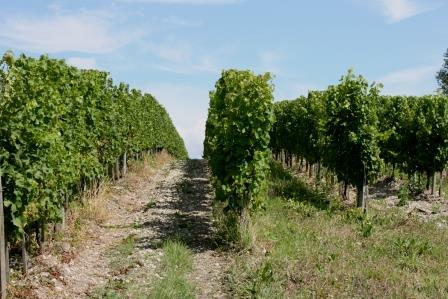 2012 was a small harvest, and the fruit has considerable concentration. In complete contrast, Moulin des Dames Blanc 2012 is 100% Sauvignon Blanc from a stony, limestone site. After a slightly shorter pre-fermentation maceration it was vinified and aged for twelve months in Allier oak barrels, half new, half second fill, with lees stirring. Although the oak influence is more immediately and obviously apparent, as is the creamy, leesy texture, the fruit comes shining through as does the typically crisp acidity of Sauvignon. It’s a sophisticated, concentrated but elegant wine with great length and finesse and whilst it is far more mineral in style, it easily stands comparison with the best white wines of Pessac-Léognan. The ‘Classique’ red Tour des Gendres 2013 is an outstanding success, a truly remarkable effort in such a challenging year. A blend of 70% Merlot and 30% Malbec aged mostly in tank. Very much on the fruit, it is perfumed and delicious with quite soft acidity, fairly firm tannins and good length. At €7 from the property it is exceptional value, but at £7.95 for the 2011 from the Wine Society in the UK, it is irresistible (as is the entry-level dry white at the same price). It was an obvious first-choice for me in this year’s ‘under £10’ class of Sopexa’s ‘Absolutely Cracking’ showcase of French wines to be shown to the UK Press in October. La Gloire de mon Père 2012 is a blend of 60% Cabernet Sauvignon with 20% each of Merlot and Malbec. The fruit, from a gentle, south-facing clay-limestone slope with a high proportion of marl, was de-stemmed and treated to a thirty-day extraction with punching down followed by micro-oxygenation. It was aged in oak barrels, one third new, for twelve months and then a further six months in tank before being bottled without fining or filtration. It shows real ripeness and intensity on the nose with plum, raspberry and cassis notes. The acids and tannins are balanced, neither dominates, and it has an exceptionally silky texture, real complexity and considerable length. Its savoury minerality again sets it apart from any similar blend from Bordeaux. Moulin des Dames 2007 is the estate’s flagship red, from grapes grown on a stony, 3.5 ha. plot. Although it has less Cabernet Sauvignon (47%) than the previous wine – the balance is here made up with 38% Merlot and 15% Cabernet Franc – both the nose and flavour seem to show more of the leafy, blackcurrant character of Cabernet. A very elegant wine of great length, it had a forty-day extraction and was aged in 50% new oak, 50% second fill. The 2007 may have been a vintage of relatively light wines, but with its fresh acidity and firm tannins this has the potential to develop still more complexity. We finished with two wines new to me. ‘Sélections Parcellaires’, one Merlot, the other Cabernet Sauvignon. Both are aged in foudres rather than in barriques. ‘Les Gendres’ 2010 is pure Merlot. Perfumed and hugely concentrated, it is supported by surprisingly fresh acidity but balanced, firm tannins. At the moment, the seductive perfume apart, it is the structure that dominates in the mouth. With time no doubt it will gain in both elegance and length. ‘Le Petit Bois’ 2011, from a site with high limestone content, is pure Cabernet Sauvignon and quite remarkable. Intensely perfumed, with ripe black fruit aromas, it is both complex and exciting. The rich, generous fruit, together with high levels of both acidity and tannin suggest that it has a considerable capacity for development, but to my surprise it also seemed more approachable than its comparatively closed Merlot sibling. At €30 at the cellar door, both wines invite comparison with classed-growth Bordeaux and both stand their ground admirably well. We then travelled on the short distance for my first visit to Château le Clou, near Pomport. 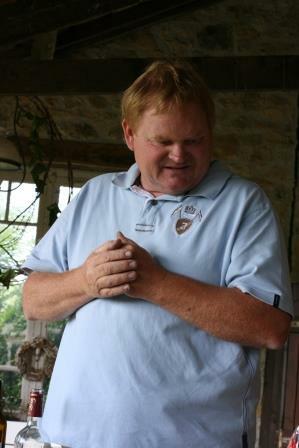 It was bought in 1999 by Manuel and Sylvie Killias and had been certified organic since 1996, two years after Luc de Conti first began organic trials at Tour des Gendres. Half the wines are exported and half sold at the door and to a chain of organic shops in France. The estate first appears in historic records in the twelfth century. 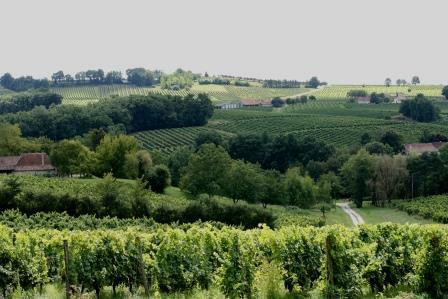 The vineyards lie in something of a suntrap on the southern side of the hill of Moncuq, a magnificent setting, one of the best in the region. Manuel and Sylvie’s veranda offers a superb view south over the vines. This and their gentle, kind hospitality ensure that any visit to le Clou will be memorable. 13 of the 20 ha. are planted to white varieties. Manuel makes two unoaked dry whites and one that he vinifies and ages in new oak barrels. Of the unoaked wines, the 2013 Sauvignon Blanc is beautifully simple, fresh and clean, savoury and mineral with very crisp acidity. The second wine is dominated by 80% Sémillon, with 20% Sauvignon Blanc. This Bergerac Sec 2011 well shows the typicity of the variety in these parts: fresh, limey and with clean acidity, if less than that of the Sauvignon Blanc. It also has a little more fullness in the mouth. I bought a few bottles of both: they will be ideal teaching tools. ‘Pleiades’ 2011 is a blend of 60% Sémillon with 20% each of Sauvignon Blanc and Muscadelle, vinified and aged for 8 months in mostly new Allier oak casks. It promises well, the aromas of new oak are still fairly strong, but there is fine, ripe fruit underneath too, fresh acidity and good length, but I can’t help feeling that with a little less new oak it could be even finer. Manuel’s Rosé is exceptionally good, one of the best I’ve tasted in the region. The 2013 Rosé, vinified dry, is a blend of 50% Cabernet Sauvignon and Cabernet Franc with 50% Merlot. It is vividly perfumed with strawberry and raspberry fruit, balanced by juicy acidity and is surprisingly long. Of the two red wines, rather as with the dry whites, the simpler wine impressed me more. The 2012 Château le Clou, Classique is 60% Merlot with 20% each of the two Cabernets. A relatively short, 14-day extraction was clearly quite enough to reveal lovely, perfumed prune and blackberry aromas with well-balanced acidity and tannins, neither very pronounced. It’s a style that I find both food-friendly and far too easy to go on drinking. ‘Cassiopé’ 2009 is designed to be a ‘vin de garde’ and should last the distance, with its firm back-bone, supported by a classic maturation of 18 months in small oak barrels, one third new. The fruit is rich and slightly pruney. The real stars at le Clou are the late harvest whites. All are excellent and the Cuvée Andromède is quite outstanding. A 2012 Moelleux, mostly unoaked Sémillon is like so many of Manuel’s wines, beautifully perfumed and has just enough juicy acidity to balance the residual sugar. It is a little masterpiece of elegant restraint. 2012 Monbazillac has much more of an aroma of botrytis and concentration, with hints of apricot. Yet again the fresh acidity helps greatly to balance the residual sugar of around 100g/l. It includes a small amount of Sauvignon Gris. Monbazillac ‘Andromède’ 2005 is much more concentrated. It is a blend of 80% Sémillon and 20% Muscadelle from vines aged 50 years or more. It is intensely botrytised, rich and sweet; orange, apricot and quince all feature. The acidity though not seeming high is still fresh and it is impressively long. It was vinified and aged 24 months aging in oak barrels – and all the fruit sings through. For the ‘Andromède’ 2009, Manuel used a higher percentage of new oak but wisely reduced the period of aging in oak to 18 months. It is a remarkable success: fresher and finer than the 2005, intense, richly botrytised and very long. Manuel virtually gives it away: just €10 for a 50cl bottle. It has to be the best €10-worth of botrytised Sémillon available anywhere. Tasted blind I would (I hope) have thought it to be equivalent to top classed growth quality Sauternes; it’s that good. I’m very much looking forward to showing wines from both estates in our ‘Best of’ Bergerac tasting in Tynemouth on 26 September. 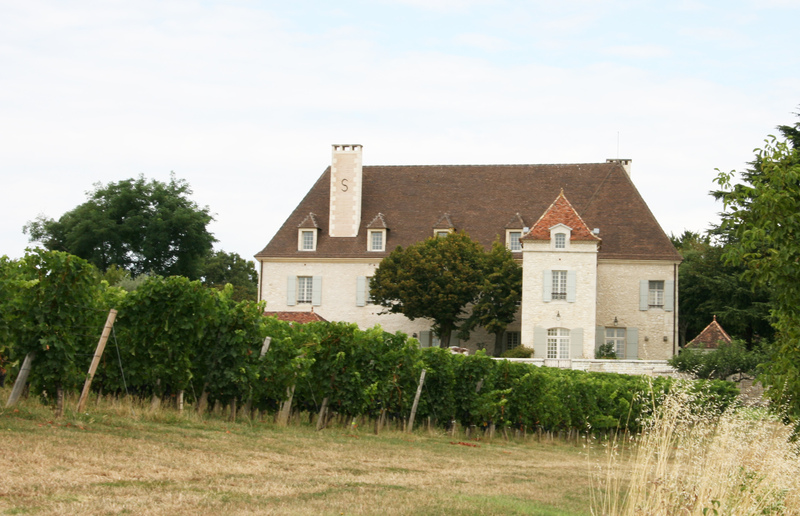 Chateau Thénac – can investment make a great wine in Bergerac? Much richer – a fine, complex, dry white with a confit lemon character and much more mouthfeel than the unoaked white. The oak/fruit balance is exemplary. A lovely bright colour, then a fresh, elegant spicy aroma – including ginger, unusually. Savoury, fresh and spicy with brambly fruit and a mineral/savoury finish. Real elegance in an entry-level wine. A refined, scented bouquet, then fresh acidity in the mouth balanced by a long, savoury, black cherry, bramble and damson flavours. Much richer, with liquorice aromas and much more concentration of black fruit flavours, but also, curiously, more obvious oaking. Less finesse at the moment than 08, but shows good, fresh acidity. Very promising. Perfumed, some evidence of botrytis, but also fresh grapefuit. Lively acidity and a slightly phenolic twist. It’s a bit betwixt and between in style, but is a good drink. Some dismal wines were made in France in the heat of 2003. I did not buy many, so I’m not sure why I paid up for a few bottles of Château Roque-Peyre, a (dry white) Montravel made by the Vallette family. It was also heavily oaked, another reason for giving it the cold shoulder. When I’ve tasted it previously, I’ve always regretted my rash decision to buy – until yesterday. We wanted a rich, dry white, so I found one of the two remaining bottles, and expected I’d have to find something else. But it was really rather good, indeed very good. It’s not quite perfect – the oak is still too prominent, but the fruit has found a second wind. Almost like an aged Hunter Valley Sémillon, it has gained an extraordinary richness in the bottle and an intense, complex, candied lime character. It even seems fresher than before. I don’t know for sure what the blend is – I assume it’s a Sémillon/Sauvignon job, but it has stood the test of time with flying colours. Other 2003s will not emerge as swans, incluing many of the horribly unbalanced, ugly reds, but this wine is a timely reminder that in the ever-changing world of wine it pays to keep an open mind. You are currently browsing the archives for the Bergerac category.